Muddy Paw Dogs – theses are the old timers (or offspring of the old timers) that have been with the owner since he first started mushing years ago and/or are part of our selective breeding program. 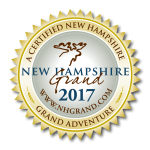 Second Chance Sled Dogs – these are sled dogs that come to us from wonderful working backgrounds and were generally taken really great care of but needed somewhere else to call home (perhaps their musher was looking to retire or downsize the team). Rescue Sled Dogs – these are the sled dogs that come to us from “ruff” backgrounds and typically find their way to us with the help of other animal organizations. These working dogs often need somewhere else to call home for their safety and overall wellbeing. Regardless of their background, all the sled dogs have a home and job for life. Should a sled dog lose interest in running or for health/age reasons have to retire, they typically live out their retirement days as a “couch dog” with a staff member or are paired up with a great adoptive home. Did you know that sled dogs vary in appearance and size? 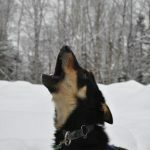 At Muddy Paw Sled Dog Kennel we currently have Alaskan Huskies, Siberian Huskies, Hounds and mixes of all of the above. Each working breed has their own strengths and unique characteristics that make them a valuable teammate. Do You Have A Favorite Sled Dog?! Then sign up to sponsor your muddy buddy today! For $150 you can virtually adopt your favorite four legged athlete for a year. Sponsors receive periodical pupdates on their furry friend and a free kennel tour to come visit with their pooch and hang out with our other amazing canines in person! By sponsoring a dog you can help reduce some of our annual costs (which historically have exceed 100K per year not including staffing, insurance, improvements, etc.) and help kick start some pawsome kennel projects. To learn more about our four-legged friends or to sponsor a dog, scroll through the sponsorship shop below!